An innovative war risks insurance contract developed by the Singapore Shipping Association has the backing of key shipowners. The comprehensive wording has been agreed after widespread consultation and is designed to tightly interlock with hull cover, avoiding the coverage litigation that has arisen following some claims under other war risks policies. The Singapore War Risk Insurance Conditions were launched on Tuesday by Singapore transport minister Lam Pin Min at a Singapore Shipping Association reception. Lam said he is confident the new conditions will be well received as they are crafted from a shipowners’ perspective, overcome potential gaps in insurance and bring more breadth and certainty to cover. The conditions have been devised by shipowners for shipowners, so it is no surprise that the initiative won immediate endorsement from prominent Singapore maritime outfits including BW Group, Pacific International Lines, Pacific Carriers and Hong Lam Marine. The wording has been designed to provide the most comprehensive cover of any war risk conditions available, significantly reducing the chances of a claim falling into a gap between hull and war insurance, according to Gina Lee-Wan, who chairs the Singapore Shipping Association’s legal and insurance committee. The Singapore wording does not have the seamless Lego block fit of hull and war risks cover of the Nordic Insurance Plan. But coverage is considered to be wider than the Nordic plan, while offering better connectivity with the hull policies of London and other international insurance markets, so avoiding gaps in cover. Factors connecting the hull and war risks cover include the law and jurisdiction of the former applying to the latter, with conflict resolution further helped by legal expense cover if clarifying which policy responds to a loss proves necessary. This should avoid another B Atlantic-type spat, which saw the UK Supreme Court last year rule that the London market war risk cover of the 38,000-dwt bulker B Atlantic (built 1983) would not respond to the constructive total loss of the vessel as a result of confiscation. The judgment, which brought an end to a more-than-decade-long legal battle over the attachment of 132kg of cocaine to the hull of the B Atlantic below the waterline, found the loss was not covered under the Institute War and Strikes Clauses of the London market, as they required the perpetrator to be acting maliciously rather than for criminal gain, with the loss also excluded under a clause relating to infringement of customs or trading regulations. Singapore and other Asian shipowners are expected to be among the first users of the new conditions. However, while “owned” by the Singapore Shipping Association, the conditions are available on the web and free for anyone to use. “If some months down the line we find an Italian shipowner buying insurance in Germany, under Singapore war risk conditions, that would be great,” Lee-Wan said. 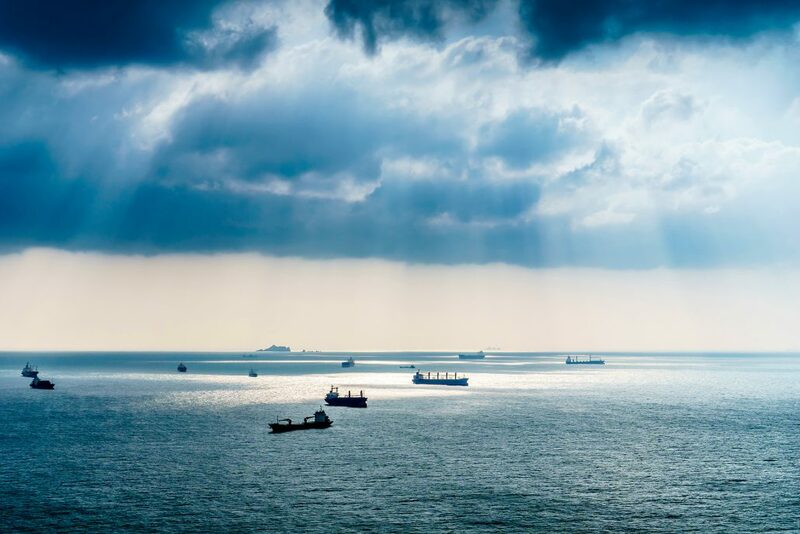 The war risks conditions have been developed with the support of the Maritime and Port Authority of Singapore and the Singapore Maritime Foundation, and are another step in Singapore’s efforts to diversify from shipping and port services into maritime insurance. The conditions were developed by a 14-member steering committee, headed by Singapore Shipping Association executive director Michael Phoon and Lee-Wan, a top maritime specialist with the Allen & Gledhill law firm. Key drafting expertise was provided by Nicholas Wilmot of Gard and advice from Tom Midttun, the chief executive of the Edge insurance broking group, who has an underwriting background as a senior executive of the Vesta and Gard insurance groups. The Singapore War Risks Mutual was launched four years ago, while the Lloyd’s Asia venture provides a Singapore-based regional platform for the Lloyd’s of London insurance market. The mutual currently writes cover on the basis of its own rules for a fleet of almost 800 ships but, subject to approval by its shipowner committee, may offer war risks insurance based on the Singapore conditions. BW general counsel Nick Fell said the new conditions are “clearly superior to existing offerings”. “They represent a thoughtful modernisation for this type of insurance, and are designed to properly synchronise with hull insurance, thereby promising shipowners a greater sense of security and insurers greater certainty,” he said. Pacific International Lines executive director Lisa Teo said that in war-like situations shipowners are unlikely to have prior experience in dealing with them or have any degree of control, but the consequences can be disastrous. An example of the breadth of cover of the Singapore Shipping Association’s new conditions is that it insures cyber incidents, irrespective of the motivation of hackers or other perpetrators, and also provides extended loss of hire and loss of earnings cover that does not require a hull damage trigger. There is also a difference in conditions guarantee, meaning that losses, liabilities and expenses will be covered, along with an element of legal expenses insurance. The new conditions also continue the trend to treat piracy as a war risk rather than a hull one. Nevertheless, premiums for cover written on the wider Singapore wording are expected to be competitive in the ultra-price-sensitive international war risks market. Perils covered include the obvious — war, civil war, revolution, rebellion insurrection, use of weapons of war, capture seizure or detainment, confiscation or expropriation by foreign states, piracy, violent theft or barratry, strikes, lockouts or other labour disturbances or civil commotions. Exclusions include loss arising from the use of nuclear weapons, or RACE II clause events covering radioactive contamination, or loss caused by chemical, biological, biochemical, or electromagnetic weapons. There is also the usual exclusion relating to an outbreak of war between the five powers of US, Russia, China, UK and France. Seizure or requisition by the government or authorities in the country that a vessel is owned or registered is also not covered.